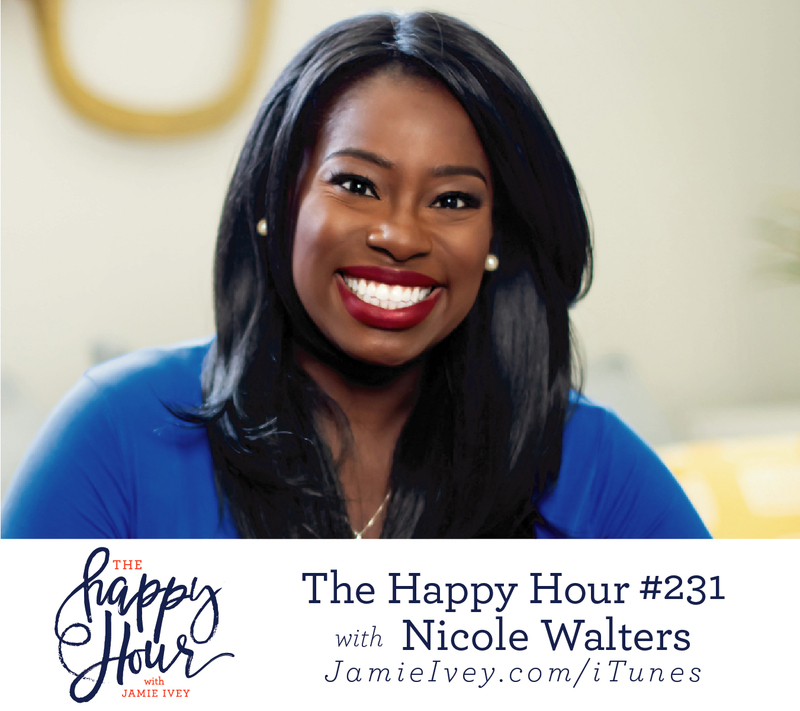 My guest for The Happy Hour # 231 is Nicole Walters. Nicole is a former six-figure corporate executive who woke up every morning feeling stuck in the life she built for herself. Using her corporate skills, she took to the internet and built a multi-seven figure business showing others how they can build a life they love. Nicole and her husband reside in Atlanta and are parents to their beautiful girls. You guys, Nicole is a rock star with her business, but what I think you're going to love about our conversation today is her encouragement that we can let our light shine no matter where God has placed us. Nicole and I start off the show talking about her first side hustle that began with shaving her head, plus more side hustles all leading to a live stream of her quitting her corporate job. Nicole also shares how in the midst of all of that craziness, she and her husband came to adopt their three daughters. Nicole then opens up about her faith journey and what it's been like to be a "faith-forward" business owner. I loved hearing her speak about how her faith is simply how she does business. In our culture where we may feel uncertain how to share our faith, Nicole encourages authenticity, honesty, and vulnerability. I think she summed it up pretty well when she said, "If I can tell you what type of undies I wear, why can't I tell you I pray." GET ALL THE LINKS FROM THE SHOW HERE!